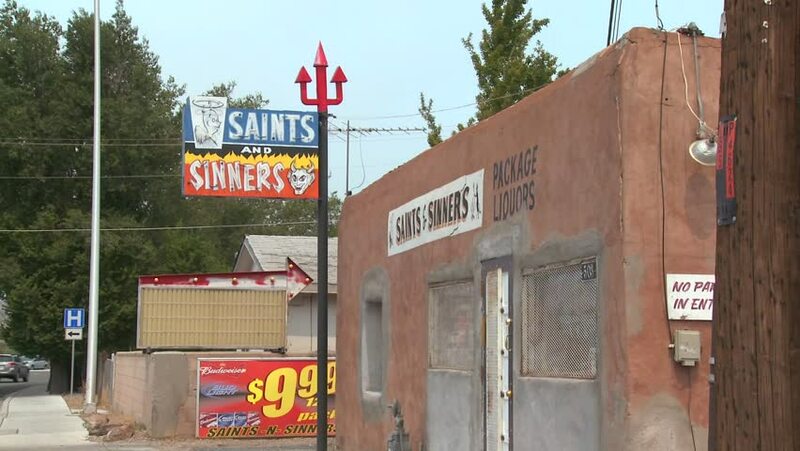 ESPANOLA, NEW MEXICO - CIRCA 2010: The Saints and Sinners liquor store, circa 2010 in New Mexico. 4k00:16TAOS, NEW MEXICO, USA - MAY 5 2015: Hotel La Fonda Taos, New Mexico USA.. An adobe style travel destination in the middle of town square in Taos, New Mexico, USA. 4k00:08Port Coquitlam, BC, Canada - July 15, 2017 : Store front of Harvey's restaurant with 4k resolution. hd00:16WILLIAMS, AZ/USA: August 3, 2017- A Bearizona Animal Park sign in Williams Arizona. A large digital sign with natural features advertises the location of popular attraction next to road.